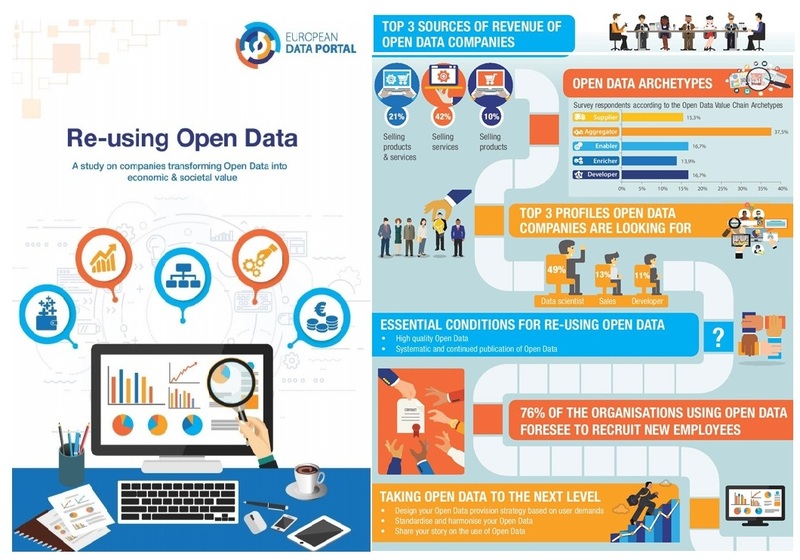 The report 'Re-using Open Data - a study on companies transforming Open Data into economic and societal value' (2017) is published as part of the European Data Portal project. The European Data Portal is developed by the European Commission (EC) with the support of a consortium led by Capgemini Consulting, including INTRASOFT International, Fraunhofer Fokus, con.terra, Sogeti, the Open Data Institute (ODI), Time.Lex and the University of Southampton. 4 March 2017, International Open Data Day 2017 took place. This is the annual celebration of Open Data (OD) all over the world. For the fifth time in history, OD communities celebrated OD by organising local events on OD, such as hackathons (visit: the hashtag #ODD2017). ... agriculture and nutrition: from drought, pests and diseases, to food security and food safety. # FAOSTAT provides free access to food and agriculture data for over 245 countries and territories ... and covers all FAO regional groupings from 1961 to the most recent year available. # The GODAN global initiative supports the proactive sharing of OD to make information about agriculture and nutrition available, accessible and usable to deal with the urgent challenge of world food security. GODAN has pulled together some Open Datasets which relate to agriculture and nutrition that you may want to consider. See also: GODAN Local Farming Challenge 2017; a newly set up GODAN Data Ecosystem Working Group. As part of the European Centre for Medium-Range Weather Forecasts (ECMWF) activities, including the recently-added EU-funded Copernicus (Global Flood Awareness System : GLOFAS) services on climate and atmospheric monitoring, ECMWF has collected and created vast quantities of global environmental data to make practical apps and build educational tools for weather prediction. europeandataportal.eu (European Data Portal is available since November 2015). The objective of the report 'Re-using Open Data - a study on companies transforming Open Data into economic and societal value' is to understand how organisations, primarily within the private sector, use OD and what business models have been developed around its re-use. The transformation of OD into value is explored and analysed based on the experiences of 200+ organisations. To illustrate the transformation and experiences of companies working with OD, more than 30 showcased companies are presented more in-depth. One of the key findings is that external as well as internal barriers do remain and hinder re-users to standardise or automate the collection and processing of OD. # Barriers in working with Open Data. External factors: getting the right OD. ​Here, re-users are dependent on what (quality, consistency) and how (meta)data providers make and deliver their OD to the re-users. Internal factors: working the OD. on how to further reap the benefits of OD. # while the private sector is invited to share further success stories around the re-use of OD and demonstrate how it benefits growth and innovation.